Provides clean air necessary for proper functioning of precision air-operated tools. Removes dirt (down to 40 microns) and harmful moisture. 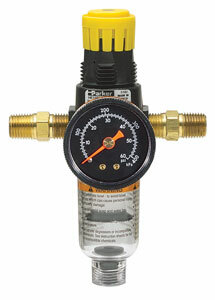 Gauge shows a range from 0 to 60 PSI.